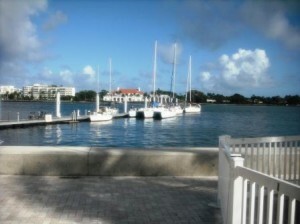 Come experience the spectacular views from the Intracoastal Waterway! 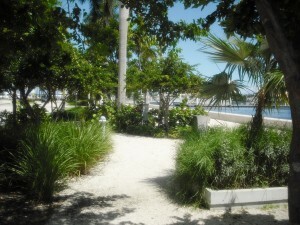 Accessible from either South or North Clematis Street, parking available along Flagler Drive. 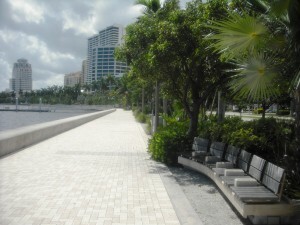 Take time to walk on the Waterfront Promenade where you can bicycle or roller blade with the family or just go for an easy stroll along the Intracoastal. 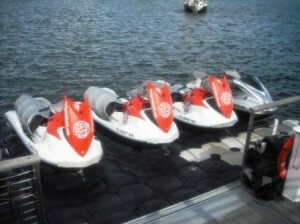 Multiple seating benches provided along the way. 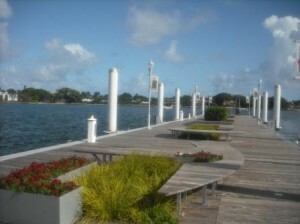 With the addition of 3 docks for non-commercial vessels, inviting you to walk along and sit while admiring the water views or check out the downtown scenery. 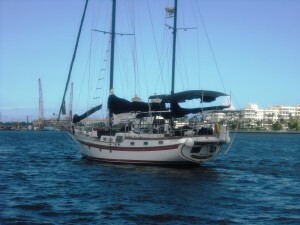 Great place for families as you get to watch all the actions on the water and check out some of the amazing vessels docked nearby. The views are even better in the evening and so romantic. 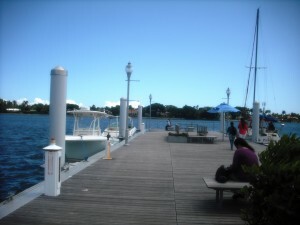 The docks are open 7 days a week from 5:00 am to midnight and are totally free to the public. 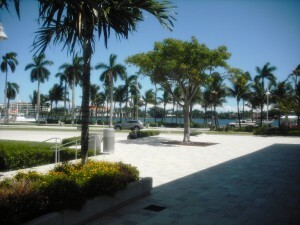 The Lake Pavilion and Terrace are located right across Flagler Drive where group meetings, art exhibitions, weddings, business meetings, civic ceremonies and other events are held. With floor to ceiling windows, it offers great views of the Waterfront. 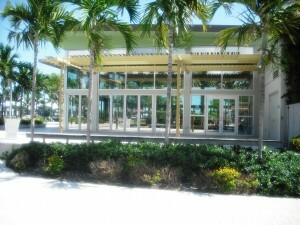 The Pavilion is available for rental and is equipped with a large lobby, kitchen and food prep area, electrical outlets and restrooms. 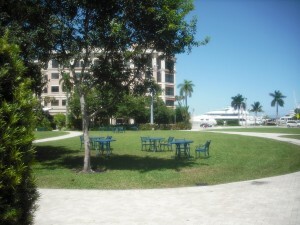 The Terrace offers sitting areas for dining and beautiful green lawn with tables and chairs for dining and basically spillover for events at the pavilion. 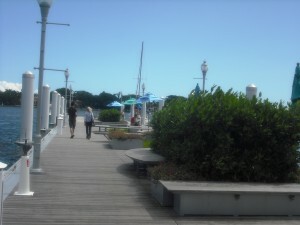 This is also the general area where the ever popular Downtown GreenMarket takes place every Saturdays starting in October. So this entire area is buzzing with lots of people, vendors from all around the area offering fresh fruits and vegetables, homemade breads, juices, flowers and plants. 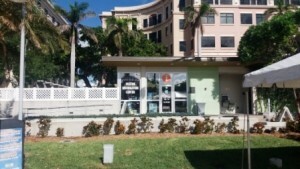 The Waterfront Visitors Information Center located at 100 N. Clematis Street. 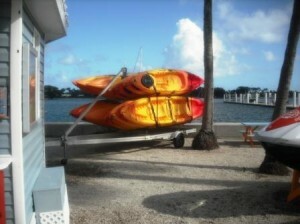 This is where anyone can get information about local attractions, hotels and restaurants in Palm Beach County. 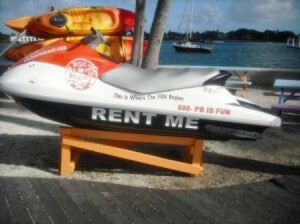 You can also rent anything from kayaks, jetskis, paddleboard or go on a Catamaran cruise. 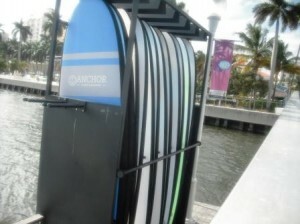 Look for a small kiosk next to the floating dock for an attendant or walk over to The Visitor Information Center located at the end of Clematis Street and is open every day from 10 am to 7 pm. 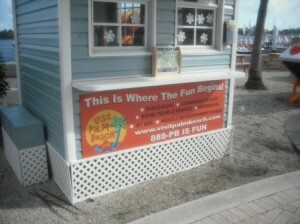 So whether you come by yourself or with family and friends, there is a place for you at WPB Waterfront so come on by and check it out soon!